DriverUpdate™ gives you the all-in-one solution to driver management. Intuitive push-button controls let you scan for new driver updates, identify errors and even secure vital software updates. Now you can update your whole driver profile with one click. 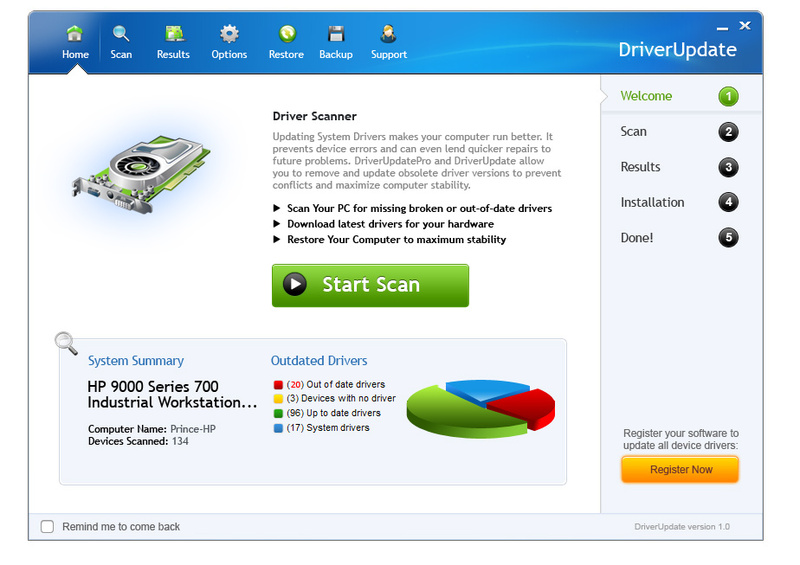 When your customized driver profile is complete, DriverUpdate™ provides you the resources other driver scanners don't, automatically retrieving the right drivers for your computer and launching the install process. By using cloud-based technology, DriverUpdate™ keeps you in-step with the latest releases in hardware and software. No matter how new your component is, there's and up-to-date definition for it in the cloud. 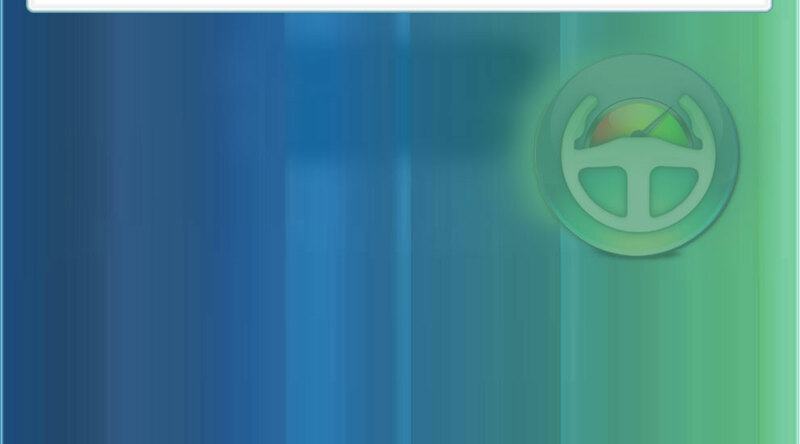 Because feedback from Slimwares' dynamic cloud is in real-time, it makes a personalized driver profile for your computer. 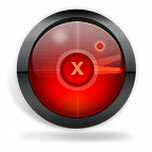 Automatically get the right customized updates for your PC every time. 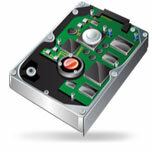 Precision and Safety make up the hallmark of DriverUpdate™'s custom maintenance. A fully integrated backup and restore tool lets you make snapshots of your system at any time, safeguarding you from unwanted changes. Our online data cloud gives you the advantage over other programs. While most driver updaters have to spider the web, looking for the most up-to-date drivers, DriverUpdate™ simply accesses a single source and gets it. The cloud is constantly refreshed, being fed new definitions hourly, so no matter how old or new your PC is, it's components are on-call. Get the right hardware definition every time. The beauty of DriverUpdate™' s dynamic update process is that it allows for the best customization. When you run a scan with SlimDrivers or DriverUpdate™s, you make an individualized profile of your PC - the exact hardware you have and the specific configurations that apply to that hardware. This way, when you get updates, they're not only the most newly available, but the most precise. Never worry about getting the wrong driver again. DriverUpdate™ doesn't give you a dumbed down version of what's happening behind the scenes of your computer. Instead, it brings a complicated system into perspective. Anyone can use it by just pointing and clicking. Our specialized interface lets you view driver specs in a way that is familiar, with push-button controls. By approaching the task of driver maintenance with intuitive controls, engineered organization and an attitude of openness, DriverUpdate™, takes the technical and makes it accessible. 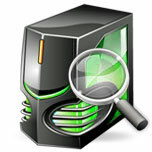 Advanced technology unlocks new potentials in the way you repair and optimize a PC. Our applications doesn't come with a pre-set list of drivers. Instead, they contact a dynamic information cloud, an online data center that is constantly receiving new driver definitinons. An update list would be constantly out of date and would never be able to include all the drivers found on people's computers. That's because new hardware and software is being manufactured daily. To keep up with an ever-changing landscape of devices, busses and interfaces, you need software that uses a better method. 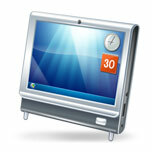 Display drivers mediate the relation between your computer and the way your monitor displays images. These specialized drivers help regulate dispersion of color and the way pixels are aggregated into the things you recognize – like windows, icons and even animation. Having an outdated display driver rarely results in your not being able to see anything, but it can affect the quality of your viewing, especially since new animation formats put higher demands on display drivers every year. Whether your sound card is a literal card or a set of circuits dedicated to pumping out music, it needs a driver. 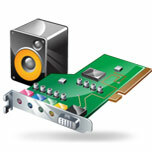 There are many programs on Windows that need to output sound, including video, animation, games and – of course – music players. The sound card takes the digital input from the computer and transforms it into the meaningful sounds that come out of a speaker. Having the latest sound card drivers lets you get the latest innovations in sound quality, advancements that make your music sound sharper and clearer. Graphics Card Drivers keep the images on your screen looking the way they're supposed to. They help Windows communicate with your graphics card, a piece of hardware that handles all of the processing needed to stream media and play the latest games. 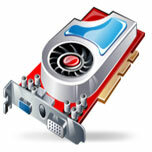 Because these things need the screen to refresh itself really fast, the graphics card packs a lot of muscle. But it's the driver that relays all of that data, so when it gets outdated, you feel the effects in lagging video performance. Windows does a good job of auto-updating integral drivers like those to the network adapter. But even the latest editions of Windows can't keep up with every web-based innovation. 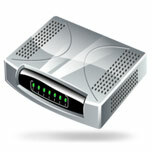 Network adapters translate all of the information that goes over the Internet. Like all data in a computer, the communication lines in the web are digital, so it takes special software to transform it into the things you can recognize, like streaming media and interactive web pages. 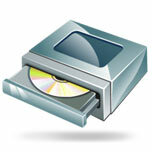 As you can guess, print drivers are what allow you to print documents. Every printer has its own, specific driver. 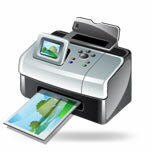 It not only allows your computer to send text to the printer, but allows your printer to communicate with the computer too, letting it know if it encounters problems or if it's low on ink. 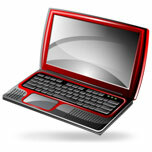 New software or updates to text writing programs like MS Word or OpenOffice anticipate new updates to print drivers. These updates enable your printer to accurately organize the distribution of texts and graphics on the page. Lack the latest updates and you risk print errors. Many don't know how important modems are, but they do much of the hard work needed to transform different input signals into digital online media. Cable modems convert signal from co-axial cables, DSL and Dial-up modems convert signal from phone lines. Newer advancements in broadband, data transfer mean faster speeds, and you can't get these advancements if you have an out-of-date driver. You'd think that Windows usually has all of the generic mouse drivers that you'd need. 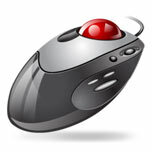 After all, when you plug a mouse into a computer, it generally works. But to use extra features like extra buttons or customized controls, you'll need a specialized input driver. Updates to input drivers keep those essential parts of your computer, like mouses, keyboards and touchpads, always ready to accept new functions. Whether you have a dedicated scanner or a new smart-printer that prints scans and copies, you need an up-to-date driver to adequately tell your computer what do with the data it's given. 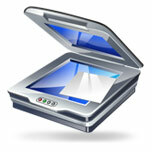 Scanners have to not only copy physical images into digital forms, but also recognize and transfer text via an optical medium. Needless to say, that's no small task, so it's always in your best interest to keep scanner drivers working in their optimal capacity. Even your USB ports need drivers. 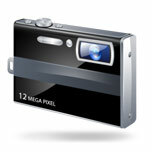 Today, almost any component that interfaces with a computer externally does so via a USB port, including all digital cameras. The Universal Serial Bus uses a special protocol that encodes data so that it can be communicated quickly. That's why mouses, cameras and printers all use USB. It's crucial to have updated drivers so that you don't risk losing data when you upload pictures or video. Hard Disks, External Hard Drives, and TV-top Media Consoles all need drivers too – special protocols that tell your computer exactly how to read and write data. The integrity of the driver is what makes the cached data continually available, so it's imperative to keep those drivers up-to-date and error free. DriverUpdate™ uses its active feedback to get the latest stats on all new drivers, no matter who manufactures them. 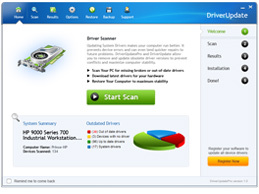 Any time you put a CD, DVD or data disk into your optical disk drive, you're employing a driver. 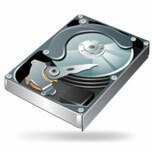 That driver will read the encoded information on the disk and translate it into a stream of information that that the computer can understand. When DVD-roms replaced CD-roms, many people had to upgrade their whole drive, but nowadays, an updated driver can unlock features of the latest disks so that you won't have to mess with your hardware. Upgrading is faster, simpler and free. Hard drives inside your computer connect via special buses. The older one is called SCSI and the newer, SATA. Both of these allow for the high rate of data-transfer needed to ferry information from your hard drive to your operating system. Without the drivers for these buses, you wouldn't be able to access data on hard drive, so its crucial to have these drivers both functioning and optimized. 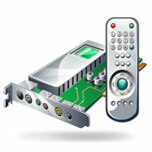 If you watch TV through your computer or have a dedicated media PC, then you probably have a TV interface, a special card that allows you to display your cable TV stations. Your TV tuner has to use custom drivers too; they let it translate signals coming off of a coaxial cable wire or from a propitiatory broadcast platform. These types of drivers are notorious for being finicky if they aren't customized correctly. 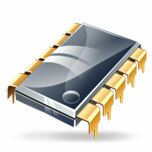 Perhaps one of the most critical components of system stability, chipset drivers mediate many of the actual circuits on your computer's mother board. Let these get defunct, and you'll suffer boot errors or even bluescreens, signs that your PC is having trouble forming the communication pathways it needs to work right. Use DriverUpdate™ to manage your chipset drivers, and you can actively protect against computer freezes and crashes. As technology progresses, you'll see more buses to accommodate faster data transfer, newer interfaces to hook up new types of hardwdare, and new input devices like infra-red and motion capture. Because your driver profiles are pulled from a dynamic cloud, the moment a new piece of hardware hits the market, we know aboutit. So if you're using SlimDrivers or DriverUpdate™, that means you do too.